Your chance to play and meet one of the most charismatic players in the game. Don’t forget to bring your arrows! 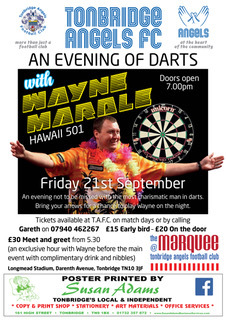 https://www.eventbrite.co.uk/e/a-darts-evening-with-wayne-mardle-tickets-49434047567 or alternatively £20.00 on the night.